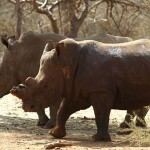 The number of rhinos poached this year has tipped the 1000 mark, the Department of Environmental Affairs announced on Thursday. A total of 1020 rhinos have been poached for their horn since January, already more than the 1004 rhinos poached in 2013. The largest number of rhino poached has been in the Kruger National Park, where 672 rhino have been poached so far this year. A total of 110 rhino have been poached in Limpopo, 84 in KwaZulu-Natal, 70 in Mpumalanga, 58 in North West and 15 in the Eastern Cape. 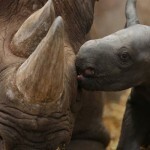 The department said addressing the scourge was not simple, and that the ongoing killing of the rhino for its horns is part of a multi-billion dollar worldwide illicit wildlife trade. “Government will continue to strengthen holistic and integrated interventions and explore new innovative options to ensure the long-term survival of the species. “Government is implementing integrated strategic management of rhinoceros in South Africa to address the ongoing scourge. This includes interventions aimed at disrupting crime syndicates,” said the department. The interventions have seen the number of individuals arrested for poaching and related activities increase. 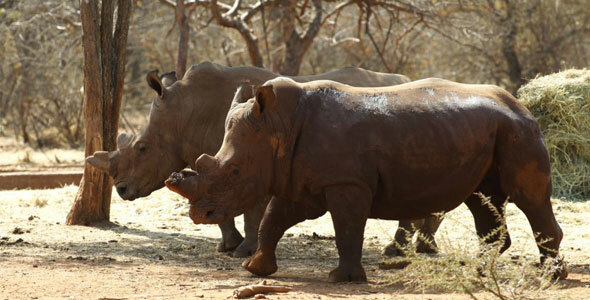 A total of 344 alleged rhino poachers, couriers and poaching syndicate members have been arrested in South Africa since the start of 2014. 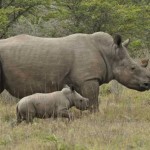 The record number of arrests this year follows an intensification of anti-poaching actions by SANParks and the police, as well as the SANDF and provincial conservation and security officials. 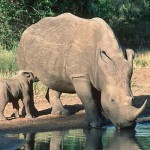 South Africa’s multi-disciplinary response further includes the creation of an intensive protection zone within the Kruger National Park, the introduction and implementation of new technology, pro-active intelligence, improving national, regional and international collaboration, and translocating rhino to safe areas within South Africa, and in rhino range states. Speaking at a Rhino Conservation Side Event at the 6th World Parks Congress in Sydney, Australia this week, Minister of Environmental Affairs Edna Molewa, said: “Unfortunately the threat of poaching has continued to escalate while various multi-faceted interventions are being implemented by South Africa.